Corona Beer, produced by Grupo Modelo in Mexico, is a widely-known pale lager. This premium beer is a classic. Its authentic taste is recognized worldwide. It’s refreshing taste and image have helped the brand reach the top. 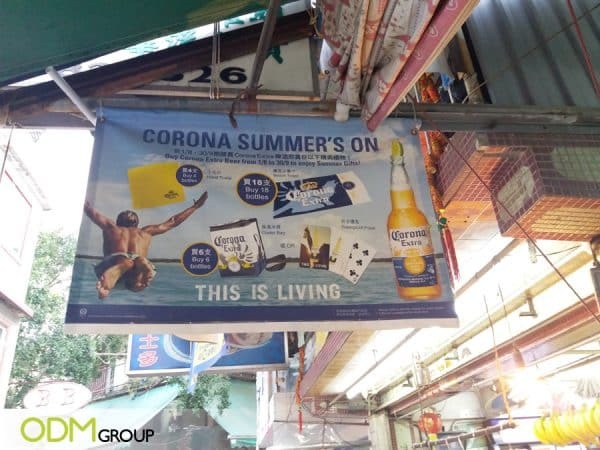 Last summer, Corona rolled out cool summer beer promos for their loyal patrons. What’s really nice with this hand towel is that the colour resembled the colour of Corona beer. Plus, it has the Corona brand printed on it. The minimalistic style made it look stylish. When customers use this towel at the beach or in the gym, they are also indirectly promoting the beer brand to everyone they encounter. Obviously, the beach towel bore the big Corona Extra Brand. The big font size made the design very noticeable from afar. This idea helps increase brand visibility among beach-goers and tourists, thus, raising brand awareness. The cooler bag is a must-have item for the summer. Chugging down your all-time favourite Corona beer whilst enjoying the beach is always fantastic. The bag keeps the beer cold and tasty and the placement of the Corona Extra brand is very visible on this freebie. This easily catches the attention of the public. Every beachgoer needs a good set of playing cards. Luckily, Corona have made it more exciting by giving away durable waterproof poker cards. 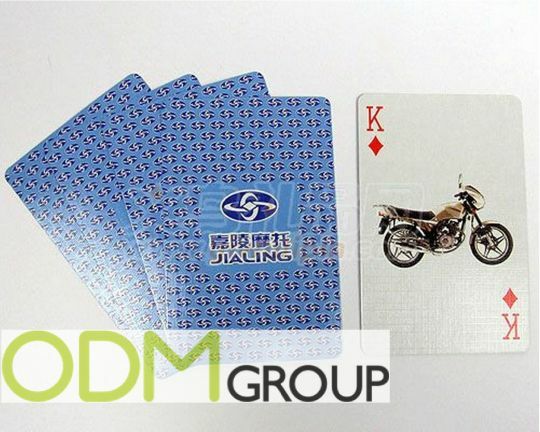 Each card is made from Polyvinyl chloride (PVC). Thus, these cards will stay dry and are easy to clean. These cards still feel as comfortable as their paper counterparts. Furthermore, the Corona brand is conspicuously printed on the back side of each card. Why We Love Corona’s Summer Beer Promos? Variety: We all want to receive as many freebies as we could. Every purchase entitled the customer to a gift item, which was really good. It gave customers the freedom to choose the gift that they want. Simple: The whole mechanics/ idea is pretty simple. Buy a certain number of their products and you get something from the brand. It’s really simple, but works like magic. It could easily attract beer drinkers. Boost Sales: The number one goal of every promotion is to boost sales. And, this type of marketing strategy effectively drives the sales up. A customer would need to buy a certain number of bottles just to get the free item. This encourages customers to purchase more. Promo Duration: Another thing that completes this promotion is the promo duration. “Limited time offers” add a sense of urgency, pushing customers to immediately purchase the product. This is because they wouldn’t want to miss the chance to get freebies. And this often leads to increase in sales and profitability. The campaign is very straightforward and the mechanics are easy to follow. You basically get what you see. However, I believe that they could have made a stronger visual appeal had they improved their poster. Luckily, ODM is an expert on design and manufacturing. Contact us right away and see if we can help you with any upcoming projects. We have a lot of experience in delivering high-quality design work to our clients. We are confident that we can help your brand grow. See this blog post to get ideas about packaging design. At ODM, we can help you to create the perfect look to pull people in. This blog post also addresses why a gift with purchase is a great marketing tool. Love beer? Make sure your marketing is created to perfection. See this blog post for successful glass promotion. 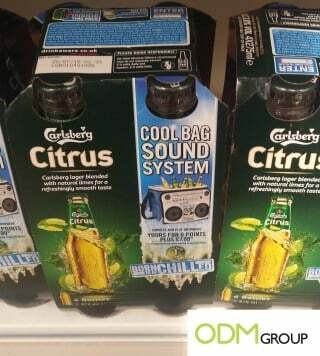 We love the innovative design of this promotional grass can cooler by Carlsberg. 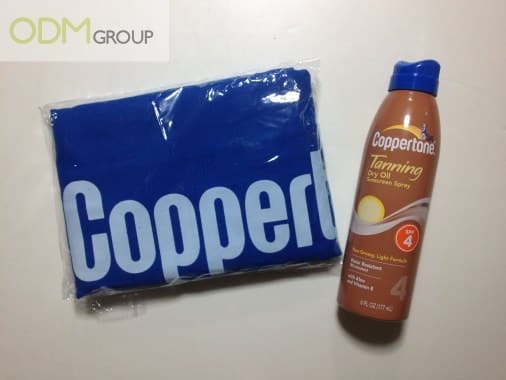 Unique and very useful, it helped the brand gain tremendous exposure in singapore retail stores.